What Is A Relocation Sale? Before getting into the nitty gritty of relocation, I want to mention that the following post is entirely my humble opinion. It is based on being involved in numerous relocation sales and seeing the effects of the sale on both buyers and sellers. With so many companies starting to hire again, “relocation” is a topic that is entirely relevant for the San Carlos market. If you are a buyer, you will run into a relocation listings in San Carlos. If you are a seller being lured out of the area, you will most likely be presented with a relocation package. Understanding how a relocation sale works and the pitfalls that exist around them for buyers and sellers will allow you to make informed choices. A relocation sale takes place when the seller of a particular home decides to take a new job. As part of the incentive for the seller to join his or her new company, the company promises the services of a relocation company which will act as a “concierge” through the process. Unfortunately, the use of a relocation company for sellers and buyers is laden with pitfalls. Many do not realize these pitfalls until after it is too late. Most relocation sales work as follows: The seller of a home is set up with a relocation company. The relocation company screens and even recommends a listing agent. Although, the sellers are free to choose the listing agent of their choice. Once confirmed, the relocation company sets the listing in motion. The listing agent will put the home on the market, but will agree NOT to list or mention that it is a relocation sale. This small, but very important detail is reserved for the buyers only after they look at the disclosures. If the buyer wants to make an offer, the buyer and seller must verbally agree to all terms of the offer. Sound odd? It should. Anyway, if the buyer and seller can agree to a price and terms a written offer is forwarded to the relocation company. If it is an offer that the relocation company and the seller want to accept, the relocation company will sign the contract as the seller. This is the key point for the buyer….and more on this point below. At this point the contract moves forward under the agreed upon terms. Prior to the escrow closing, the relocation company will actually purchase the home from the sellers and then sell it to the buyers under the agreed upon terms of the contract. The key pitfall for buyers centers around the fact that the seller of record is NOT the actual the owners of the property, rather it will be the relocation company. Understand that there is no privity of contract between the buyer and owners. This means the then current owners have no duty of disclosure to the buyers. If something is wrong with the property or if any other legal issue were to surface, the buyer’s sole recourse is most likely only against the seller of the property, which is the relocation company. However, buyers would be wise to understand that since the relocation company is merely a middleman in the transaction and has never lived at the property, they are exempt from many of the statutory disclosure obligations and for all intensive purposes owe very little to the buyers in terms of disclosure. (1) Understand that the listing agent will be heavily “encouraged” to put the property on the market at a price that is very attractive for buyers. Keep in mind that many relocation companies make a substantial amount of their money from the hefty referral fee that is charged to the listing agent. Having the seller’s home sold quickly is in their best interest. (2) Many relocation companies are managing transactions in all 50 states and they expect a mostly uniform procedure to work for all states. It doesn’t. For example, in one recent relocation sale where I was the listing agent, the relocation company was in a state of panic when they discovered that I had ordered inspections on the property. Of course, what they don’t know is that 90% of all homes in San Carlos have inspections completed prior to going to market. Going to market without inspections is reckless and doing the sellers a complete disservice. Without seller inspections, the seller is setting themselves up to have their contract price renegotiated after the buyer completes their own reports. (3) Sellers considering the relocation option should also understand that the relocation company will insist on the buyer signing all of their disclosures, in addition to the California mandated disclosures. Often, the relocation company’s disclosures are irrelevant to our local market and end up only confusing potential buyers. (4) Many buyers will be utterly confused by the process and the disclosures. Some will be so overwhelmed that they will not be able to react quickly enough, thus lowering a seller’s ability to attract interest from multiple parties, which is key in San Carlos. (5) Many relocation companies will insist that the transaction is run through a particular title office. This is problematic for a few reasons: (a) San Mateo County is a buyer-pay title and escrow county…so the seller should not be able to mandate the company; and (b) understand that the title and escrow company can make a big difference if the escrow is one that gets complicated. An agent’s pre-existing relationship with the office of choice can be the difference between a smooth transaction and one that goes sideways; (c) sometimes the relocation company’s title office is not even in the same county. Each county is different with regard to how their recordings work. Taking the escrow out of the county is a risk that the buyer and seller should never be expected to take, yet relocation companies can insist on it. (6) Many relocation companies are internally buried in red tape. Many buyers expect answers to their offers and questions within 24 hours. This can be a difficult timetable for many relocation companies to meet. They will offer to “elevate” issues that you bring to their attention, which will lead to a different level of managers that will be unfamiliar with the case and the end result is delay after delay. Many relocation companies are headquartered on the east coast and it can be impossible to track down anyone for answers after 2:00 pm Pacific Time. The sellers are not the direct client of the relocation company. The relocation company’s client is the seller’s employer and insulating the liability of the employer is their main objective. What appears to be secondary is making sure the seller gets the highest and best price for the home. For instance, many larger employers that utilize relocation companies are constantly sued. A house sale with little in the way of informative disclosures makes the employer a likely target because of its deep pockets. Therefore, one of the primary, if not the primary goal of the relocation company is to protect the employer from being sued. The result is a process that is ultimately set up so that the seller is simply unable to obtain the highest and best price for the home. 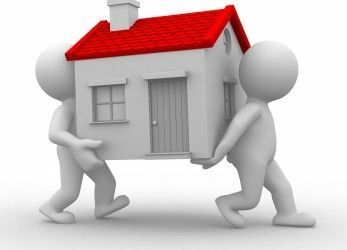 If you are moving and are considering a relocation package which includes the use of a relocation company, try to instead to negotiate a direct cash payment instead of having the employer hire the relocation company on your behalf. Don’t be afraid to talk to other employees who have recently used the relocation company and have them relay their experience.